So, I have been on this therapy for a while now, though it was hard considering I was a Drink Addict (like I could count the number of times I drank Water daily), but determination and strength got me through it all. First, it all started as me experimenting what it felt like drinking more water and less drink, then I finally decided to stick to it, and since I have been feeling refreshed and lighter in terms of body weight. I love my readers so much, so I decided to google more about it and post it. Carbonated Drinks/Beverages are drinks that contain dissolved Carbon dioxide which becomes a gas when it warms to body temperature in your stomach. though its ingredients are safe, but consuming it on a daily basis has its effects which aren’t quite pleasing. 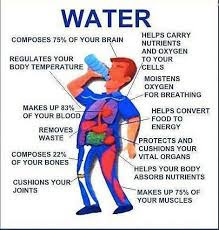 Carbonated Drinks can be so refreshing especially in this hot weather in Nigeria, where just popping a bottle of Coke or Fanta can give you this refreshed feeling after being under the sun for hours, but taking it every time is hazardous to the system, try taking more of Water. Recently, I have learnt taking Water cleanses your body system and you feel lighter and also helps in weight loss. 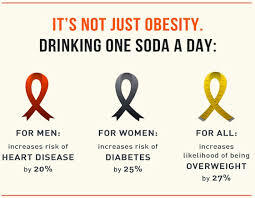 – Increased Risk of Obesity: consuming sugar-sweetened carbonated drinks adds more calories to your diet and increases your risk of over-weight and obesity. – Tooth Decay: Your mouth contains bacteria that feed on sugar which causes tooth decay. 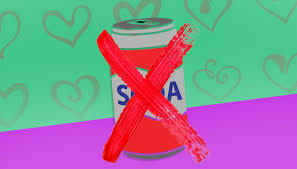 when you consume carbonated drinks, the sugar remains in your mouth , giving the bacteria access to promote tooth decay. – Reduced Bone Strength: For women, consuming carbonated cola drinks, makes the bones weaker. According to a research carried out in, it was found that women who consume regular and diet cola drinks had weaker hipbones than women who don’t consume the drinks/beverages. There are other Side Effects of Consuming Carbonated Drinks, but these are just a few I would like to share, As much as we might not see the effects now, if we wait till it shows it might be too late. – You can start by taking a Bottle of Water with you every where you go, so that way you when you are thirsty, you have a liquid with you. – You can also reduce the number of drinks you take per day, by taking 1 less of what you take each day and week and you will do just fine. – Start taking more of juices instead of drinks, if at all you want to take something sweet. – Take more of Water and Fruits. And your Body would do just Fine! Research shows that it takes at least two weeks for a new habit to take hold. Try it and let me know what you think about it, and your experience. What other Therapy are you into? kindly share in the comment box and if you also like me to share or talk about other things, send me an email – moonwalkertalks@gmail.com. Stay Blessed! and DRINK MORE OF WATER! 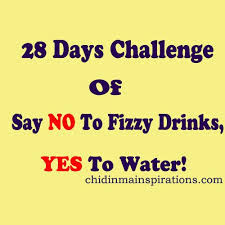 I would like us to start a challenge, on taking more water, less drink. Using the hastag #MWWaterChallenge on Twitter,Instagram and other social medias sharing your experience and challenges each day on taking more water and less drinks. I would also share mine. OR ARE YOU NOT CONSCIOUS THAT YOUR BODY IS A HOUSE FOR THE HOLY SPIRIT WHICH IS IN YOU, AND WHICH HAS BEEN GIVEN TO YOU BY GOD? AND YOU ARE NOT THE OWNERS OF YOURSELVES. – 1 Corinthians 6:19. I absolutely love this post! i actually don't drink soda, much less juice. Sometimes I don't drink at all, which I'm trying to change haha. I've been drinking water non-stop as of late. I hope whoever else reads this will be encouraged to do the same! Great idea to begin a challenge like that. Keep it up!